Fresh bread and hot farm butter. Wood fired oven bread and the rich smell of Rooibos. The Whippet loves bringing you local bakers, but more importantly the chance to share their passion with you. Fourie (a local from Robindale – our sister neighbourhood) is an artisan baker and has made The Whippet his home. From now onwards on Saturdays Fourie will make a limited number of freshly baked breads for The Whippet, that you can take home. 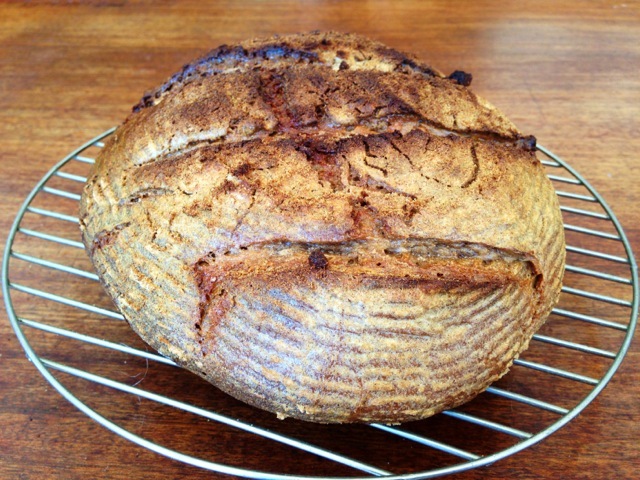 On Saturday (the 24th of July) Fourie will bake you his sour dough infused Rooibos Rustic bread- Fourie tells me all bread made from more than 50% rye and wholegrain flour is referred to as “Rustic”. Whatever it’s called we cant wait to introduce it to you each Saturday. Fourie – welcome to The Whippet! There are no directions on your web – nor can i find contact details!! Hi Penelope – If you look at the top of the page there is the following sections “Contact us – this is where you will find our contact details” and under “Where are we located” you will find all the directions to our store. Please shout if you don’t come right.